The Gunnedah Show Society will co-host with Gunnedah Urban Landcare Group and Tamworth Regional Landcare Association the lunch from 12pm – 4pm at the Grandstand, Gunnedah Showground. 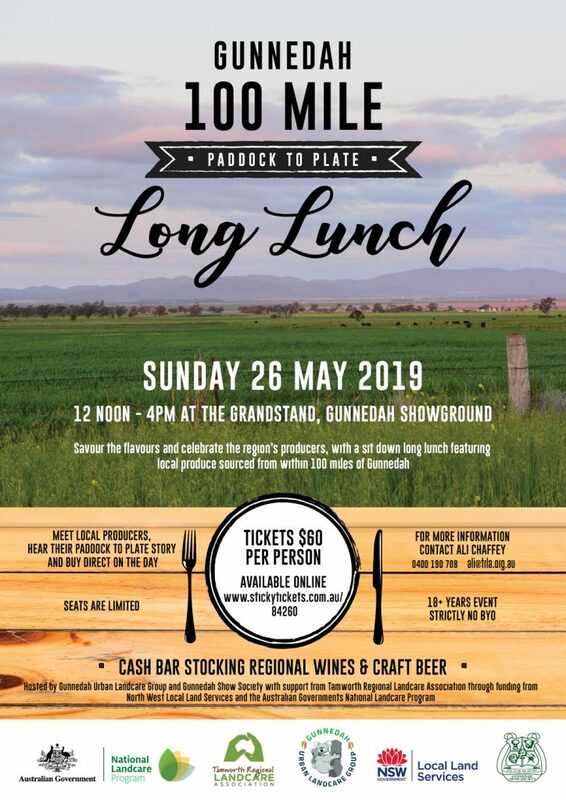 Savour the flavours and celebrate the region’s producers, with a sit down long lunch featuring local produce sourced from within 100 miles of Gunnedah. For more information contact Ali Chaffey on 0400 190 708 or via email, ali@trla.org.au.